Miley Cyrus is a on the dodge game with her fans and media reporters. She is beautifully, in fact, very smartly dodging people about her rekindled love story with Australian actor Liam Hemsworth. She declines to acknowledge her relationship status leaving the surroundings guessing if she is back in her engagement with the actor. Liam and Miley became friendly during the shooting of “The Last Song” in 2009. They exchanged rings after a 2-year-romance in 2012. However, the couple soon started to have differences and they parted ways after one year in 2013. The 23-year-old singer rejoined Liam last year in December and since then, photographers can zoom her out in pictures with wearing a gold ring once again that he presented to Miley while proposing her for the first time. The Wrecking Ball hit-maker is in full mood to treat her reunion as a personal matter, and so, is keeping the revived relationship a low-key topic. With the mysterious acts, Miley seemingly intends to keep people guessing if her relationship with the Hunger Games star will eventually revealed as "on" and they will walk down the passageway anytime soon. On September, 6, 2016 Miley was the guest at a breakfast show on an American TV channel where Savannah Guthrie, the hostess of the show asked her about the diamond ring. The hostess was willing to have Miley share something about her life and relationships with viewers during the live appearance. Later the camera tried to focus her jewelry closely when she pointed out to the three rings she was wearing that time. However, she smartly brushed off the query by starting discussing about her other accessories. She pointed out her fruity rings and said she purchased one watermelon ring and one strawberry ring as these were really very cute. Miley kept smiling while discussing her accessories but she literally refused to address her engagement ring. 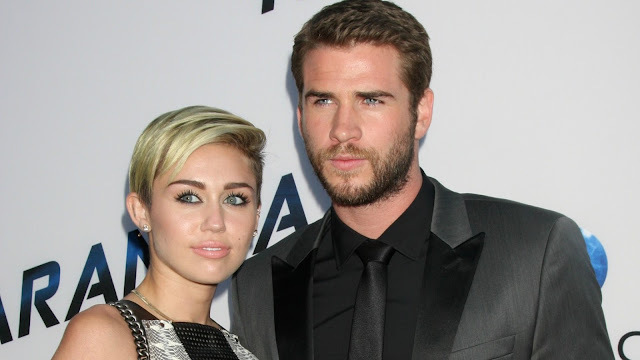 Miley's bashful response comes into view several months after Liam was also playing down the engagement speculations. Talking to Entertainment Tonight earlier this year, the 26-year-old actor said he felt like its better not to talk about his personal matters. The actor says he has realized it is easier to not discuss his personal life as he thinks he usually says the wrong things. Therefore, whatever he speaks ends up just making things complicated and worse. Meanwhile, Miley also stands firm in her decision of not walking on the red carpet again after her feelings were made public in the latest interview with Elle magazine. Speaking of her intentions, she said, she would never like to walk a red carpet again. She doesn't want people starve for her to do red carpet. She knows she is famous and important but it doesn't allow fans or other people to talk or decide about her. She says it’s just not correct to talk about someone’s personal life. The American songwriter admits she doesn't want to be sexualized by male paparazzi on the red carpet. She also hates having her outfits analyzed in the media. She says it's about the way women get yelled at to blow photographers with a kiss and like. She doesn't feel like blowing these photographers a kiss. They just put themselves out there for crowd to talk about. She says she doesn't like anyone to talk about what she is wearing and that's usually because she doesn't wear too much. She added she hates being on the camera and she actually doesn't want to. And this is the reason; she sticks her tongue out for these devices at the occasions.